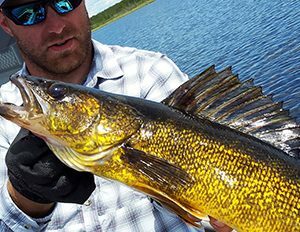 There are few places on earth where the Walleye have as beautiful colouring as on Reindeer Lake! 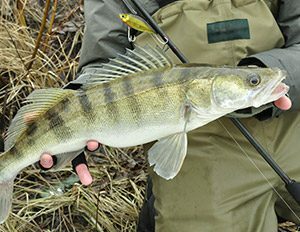 Once you find one, you’ve found dozens, maybe even hundreds! 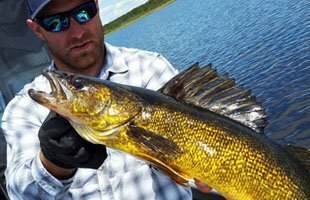 They are given the name Walleye due to their large eyes that point outward (let’s say “towards the walls”) which allows the fish to see well in low-light conditions, such as dark stained waters, also giving them advantage over their prey. 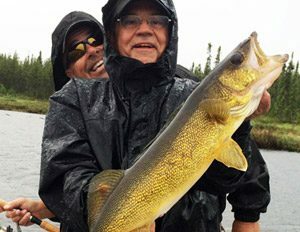 Walleye are known as one of the best tasting freshwater fish, especially when they are freshly caught and prepared on the shore of Reindeer Lake for lunch. 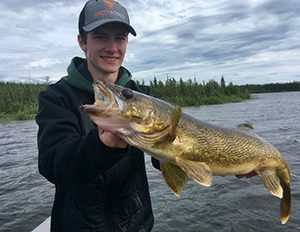 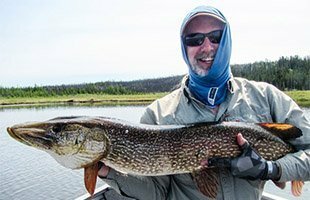 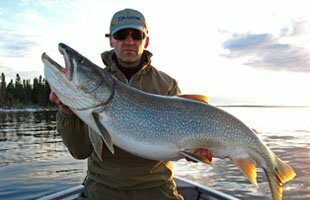 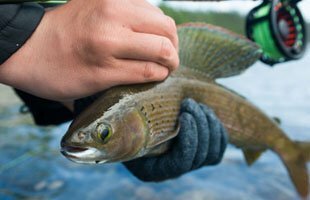 Walleye this far north are considered to be small due to the cold waters but our Walleye average around 20-25” and weigh in the 3 to 6 pound range which is a good size.